Computers working on the Mac OS are famous for their reliability. But this does not mean that they are completely protected from force majeure situations. As a Mac user you still may experience some troubles that are most often connected to the software. If you are facing an endless process of loading when turning on your MacBook or iMac, just use the tips from our article and maybe it will help you to solve this problem. Software malfunction. 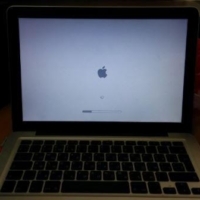 The most common reason for Mac to freeze is an unsuccessful update. The problem may arise, both after a major update of the system to a new version, or after a small system update that eliminates various problems and vulnerabilities. In addition to the above options, MacBook may also freeze because of it’s incompatibility with the devices connected to it. If the problem occurs after connecting a USB flash drive or other device to the computer through the port, try disabling it and then start your Mac again. First you need to make sure that your computer is really freezing. Check if the laptop battery is fully charged, and then connect it to the power source. If something is displayed on the screen, follow the steps below. The first thing to try is to load your computer in Safe Boot mode. 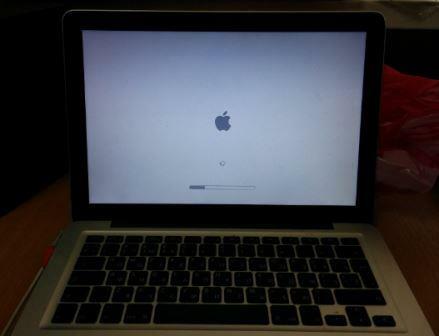 When loading in this mode, MacBook is accessing only the key utilities and system functions, excluding various third-party applications from the early load. Now your computer should start loading in Safe Boot mode. It should be noted that loading in Safe Boot mode is a fairly long process. At the same time, if there are serious software or hardware problems, your computer may freeze even when running in safe mode. Mac OS also has a Verbose Mode. It allows you to start your computer in safe mode with additional information about the booting process. That is, you are able to monitor which drivers, which software, which processes, and so on are loading. To boot your computer in this mode, you need to hold the Shift + Command + V buttons while turning your MacBook on. If you succeeded to start your computer in safe mode, try reloading it using the top menu. That is, click on the apple in the upper left and select “Restart”. If after that your computer starts normally, you can assume that the problem was resolved. If the above option did not solve the problem, you can try to check the hard drive (HDD) status. It is possible that your computer freezes while booting due to some problems with the hard drive. Mac OS has a built-in disk utility created to test the hard drive. You can run it from both from the Mac OS interface (if you managed to start your computer, and it freezes while loading from time to time), or from the Recovery Mode. To enter Recovery Mode, hold down the Command + R keys while the computer is booting. Loading in Recovery Mode will be marked by a screen with “macOS Utilities” written on it. Select “Disk Utility” from the list of available utilities and click “Continue”. On the next screen, you need to select the hard drive and click “First Aid” to start the test. If the utility finds any problems with the hard drive during the scan, it will suggest to fix them. When all errors are fixed, try restarting your computer again. Mac OS has a Target Disk Mode. This is a special way to boot the computer, which allows you to have access to the hard drive and of course to the information that is stored on it. At the same time, access to information can be obtained without loading Mac OS itself. Turn on the Macbook while holding down the T button. At this point, the boot will start in theTarget Disk Mode. This load will be indicated by appearance of the blue Thunderbolt icon on the screen. After loading, you will notice that there is one more disk on the computer where the operating system is loaded. In fact, through Thunderbolt you can make the second MacBook just an external hard drive. Further through the Finder, you can transfer information from one computer to another. Important: After the data transfer from the source computer is completed, perform the device removal through the Finder, rather than simply disconnecting the wire. If you do not do this, the copied information runs the risk of not being saved. In case all methods mentioned above do not solve the problem, there still remains an option of reinstalling the operating system. Make sure that all necessary data has been saved, and then start your computer in recovery mode. To do this, hold Command + R while loading. The screen with Mac OS utilities will load. Here you need to select the “Reinstall macOS” utility. Then follow the instructions until the operating system is reinstalled. If your computer freezes during the operating system installation phase or continues to freeze after reinstallation at booting time, it indicates a hardware problem. Most likely, the hard drive, RAM or processor of your device is corrupted.